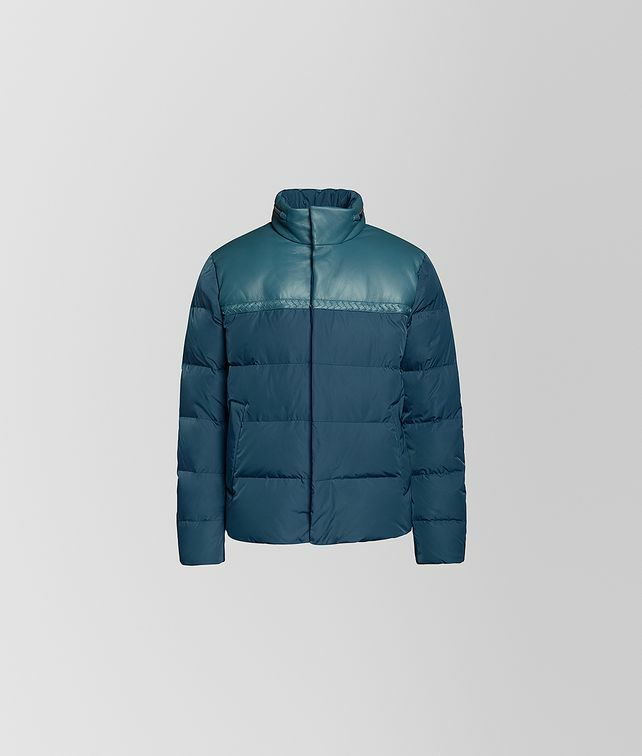 This down jacket has a luxe and sporty appeal. It’s crafted from a heavy waterproof technical fabric and features washed nappa detailing at the chest and shoulders. Finished with ribbed cuff and two slash pockets at the waist.